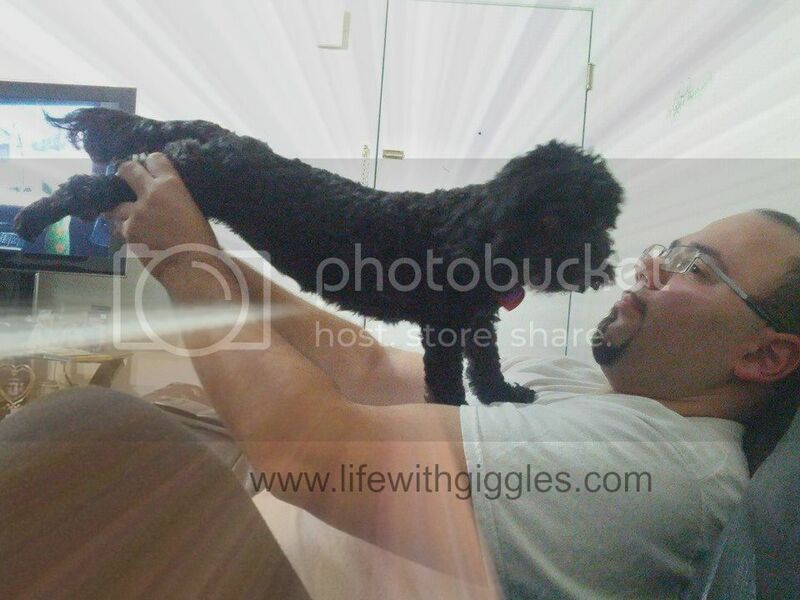 Life with Giggles: Pumpkin Hard Apple Cider with a side of Superpooch! 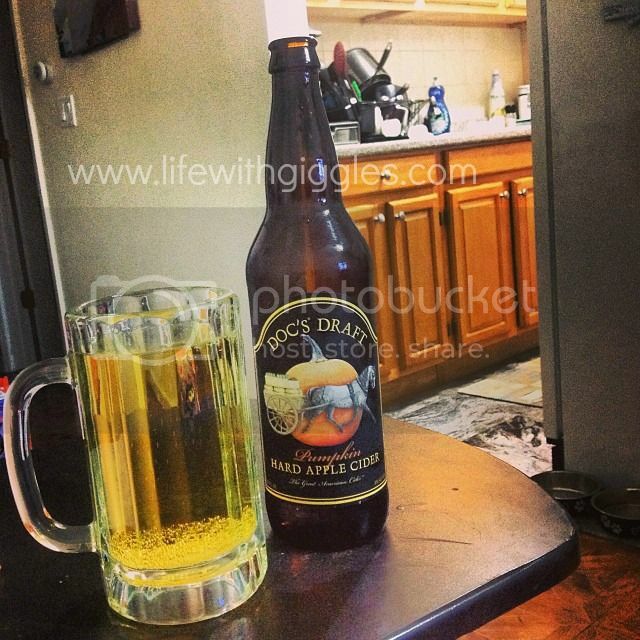 Pumpkin Hard Apple Cider with a side of Superpooch! It's no secret that I like to watch football and am a NY Giants fan. But as most of you know, even if you don't watch football, the Giants have had such a horrible start to the season that it made me very sad, anxiuous, and angry. It's hard when you're a fan to see your team struggle. But yesterday that all changed. They actually won a game. I was beside myself. I didn't think I was actually awake, more dreaming. But I pinched myself and there it was, 23-7, Giants win. Thank goodness because I wasn't sure I could handle another loss. That right there is heaven in a bottle. HEAVEN. It is so freaking good that I drank the whole thing by myself, minus a little bit that the hubs had. And because I can, let's just enjoy this picture of Sadie as superpooch. We are such awesome fur parents.